A sea lion reportedly bit a female swimmer at San Francisco's Aquatic Park Thursday morning, marking at least the fourth such attack to occur in the area over the past month, according to fire officials. The woman was bitten on the leg, fire officials said. She was taken to a local hospital with non-life threatening injuries. 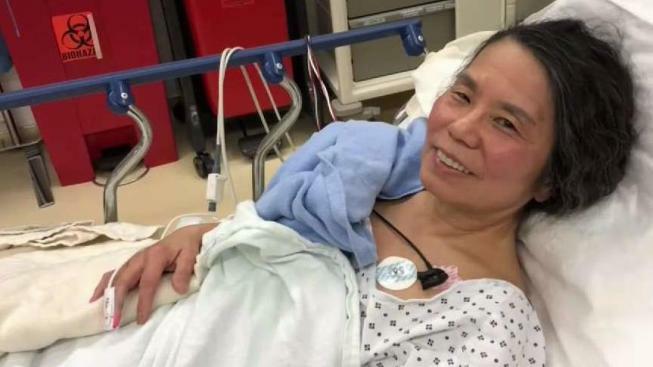 A retired San Francisco Fire Department paramedic was swimming in the area at the time of the attack and helped the woman get out of the water, according to fire officials. The paramedic then cared for the woman until fire crews arrived. Bryant Robledo said he was working on a nearby pier around 6:30 a.m. under the cover of darkness when he heard the woman scream. "She was kind of in shock over the bite and stuff, but she was handling it pretty well really," he said. Back in mid-December, a man was taken to the hospital after reportedly being bitten by a sea lion on his arm. The day before, police said another man was charged by a sea lion and also bitten on the arm. Another attack was reported sometime before those two, according to a National Park Service spokesperson, but specific details regarding that attack were not immediately available. Lynn Cullivan, a vet with the San Francisco Maritime National Historic Park, said Thursday's incident is likely a different sea lion. The waters of Aquatic Park were closed following the December attacks but later reopened days later after park rangers did not come across "any unusual marine mammal activity" or any other reports of animal bites. There is no indication that the National Park Service will close the Aquatic Park swimming area following Thursday's attack.